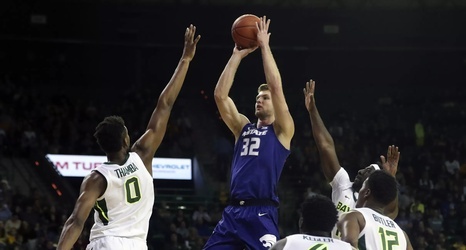 The Kansas State Wildcats (18-5, 8-2 Big 12) have finally clawed and scratched their way back into the Associated Press top 25, appearing at No. 18 in the poll released Monday morning. It is K-State’s first ranking in nine weeks. The Wildcats began the year with a No. 12 ranking, owing to their Elite Eight run in 2018 and trio of returning senior stars: Dean Wade, Barry Brown Jr., and Kamau Stokes. But the Wildcats fell out of the rankings after road losses to Marquette and Tulsa. After a pair of early conference losses to Texas and at Texas Tech, the Wildcats finally found their groove again, running up a streak of eight Big 12 victories on their way to sole possession of first place in the conference.